When I first started reading this book, I wasn't sure how I was going to engage with the main protagonists, who are children. However, I needn't have worried, from the opening lines the plot grabbed me and wouldn't let me go. I read the book in two sittings because I couldn't put it down. Hale demonstates an authority over his writing as he takes his readers on a dark and often disturbing journey before the story is resolved. The need to know what is going to happen next is compelling and the ending doesn't disappoint. The characters are believable and the main adult character, a jaded cop who has been through the mill, seemed to be crying out for a series. 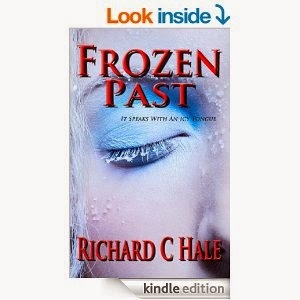 This is the first Richard C Hale novel that I have read but I will definitely be keeping an eye out for his work in future. If you like an exciting, crime thriller then you can't go far wrong with this one.